Arduino WiFi Shield 101 is the new shield based on ATWINC1500 for all your IoT needs. 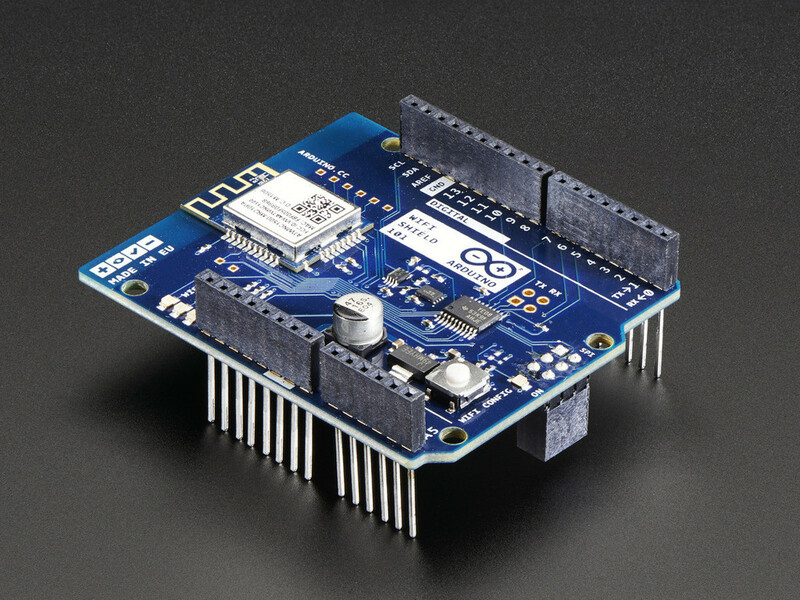 The shield supports easy to use library that allows you to connect Arduino board to internet. The SSID and password are required and no further configuration is needed. It also features a complete asymmetric hardware key cryptographic signature solution that is very secure method for IoT projects. Next PostStep 4-Connecting Genuino Board to Real-World!